Now that you have your diet underway and you are logging in your journal, now let’s create a workout plan to help with your weight loss. Everyone who is reading this article is at a different age and different fitness level, so you will need to tailor the workouts to best suite your appropriate degree of performance. 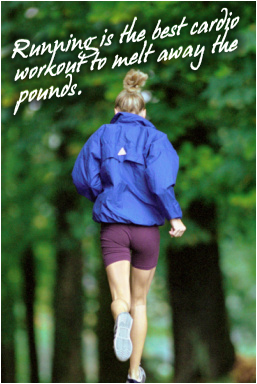 Regular exercise should be a big part of everyone’s daily life, regardless of being in a weight loss program or not. All that is required is a minimum of 30 minutes a day, five days a week. As with all new exercise programs, start off slowly and work yourself up to a point where you ideally workout 60 minutes a day with a day or two of rest. Workouts should include a combination of weight training, cardio and stretching to be the effectiveness when losing weight, building muscle or wanting to be tone. The combination of all three balance and compliment your training formula. Training with weights will tone your muscles so they burn more fat plus raise your metabolism to help you see a slimmer body more quickly than by doing just cardio alone. Cardio simply melts the pounds away, especially running, in additional to countless over health reasons such as increase in lung capacity, better metabolism, decrease in blood glucose levels, less anxiety and more. Daily stretching not only burns calories but will elongate your muscles so they function more effectively. Okay, let’s get started! What I have providing below is a basic 12-week workout plan for someone who is in very good health but does not workout. Start with the weight training first, followed by the cardio then stretching. I recommend this order as you will burn more calories running if you run after your workout versus before. You also want to stretch your muscles following your run, after they are warm and lose versus beforehand. Avoid any exercises that cause pain or discomfort. For all, it’s best to check with your family physician before starting any new exercise regimen. Strength Training:Complete the following exercise with a weight you feel comfortable with, every other day and never on back-to-back days. Leg Press: 1 set of 15 reps; works your quads and glutes. Lying Leg Curl: 1 set of 15 reps; works your hamstrings. Seated Cable Row: 1 set of 15 reps; works your upper back. Flat Bench Press: 1 set of 15 reps; works your chest. Dumbbell Press: 1 set of 15 reps; works your shoulders. Dumbbell Shrug: 1 set of 15 reps; works your traps. Pushdown: 1 set of 15 reps; works your triceps. Barbell Curl: 1 set of 15 reps; works your biceps. Back Extension: 1 set of 15 reps; works your lower back. Standing Calf Raise: 1 set of 15 reps; works your calves. Barbell Wrist Curl: 1 set of 15 reps; works your firearms. Crunches: 1 set of 15 reps; works your abdominals. Cardio: For best results, run outside on a track or running trail. If you don’t have access to an outdoor path, then run indoors on a treadmill. If you are unable to run due to a health issue, substitute the running with perhaps elliptical, bicycle or aerobic class. Week 1: Run 1 minute then walk 1 minute. Repeat 10 times for a total of 20 minutes. Run 4 days a week. Week 2: Run 2 minutes then walk 2 minutes. Repeat 6 times for a total of 24 minutes. Run 4 days a week. Week 3: Run 3 minutes then walk 2 minutes. Repeat 5 times for a total of 25 minutes. Run 4 days a week. Stretching:When stretching, you should feel mild discomfort but nothing too intense. Don’t bounce, just relax and exhale as you stretch the muscle. Stretch daily. Hamstring Stretch: Sit on a mat and split your legs apart in a wide V shape. Lean over one side to reach and hold your toes. To make the stretch more intense, pull you toe towards your body, flex your quads, and reach as far as you can. Hold for 10-30 seconds and repeat for 1-3 times. Groin Stretch: Sit on a mat and split your legs apart. Bend your legs to bring the soles together in the middle and hold. Press your elbows down in an effort to increase the stretch. The closer you put your feet to your body, the more intense the stretch will be. Hold for 10-30 seconds and repeat for 1-3 times. Hip Stretch: Lie on a mat and raise your legs in the air in a chair position. Cross your right leg across the so your ankle touches the folded left knee. Place your hands around your right knee to pull the left leg toward your body. Hold for 10-30 seconds. Repeat stretch 1-3 times on both sides. Side Stretch: While standing, clasp your hands straight up overhead, palms facing the ceiling. Gently lower to the right side until you feel a stretch down your left side. Hold for 10-30 seconds. Repeat stretch 1-3 times on both sides. Quad Stretch: Lay on your side a mat. Grab your top leg and bend it back. Hold for 10-30 seconds. The further you bring your knee backwards, the more intense the stretch. Repeat stretch 1-3 times on both sides. Calf Stretch: Lean over on your mat and drop to all fours. Take your left leg and place it behind your right with your left toe touching the floor. Hold for 10-30 seconds. The further greater the angle of your foot, the more it works your upper vs. your lower calves. Repeat stretch 1-3 times on both sides. Chest and Shoulder Stretch: Sit on a chair, exercise ball or bench or stand Clasp your hands together behind your back, arms straight. Lift your hands towards the ceiling, going only as high as is comfortable. You should feel a stretch in your shoulders and chest. Repeat stretch 1-3 times. Upper Back: Sit on a chair, exercise ball or bench.Clasp your hands together in front of you and round your back, pressing your arms away from your body to feel a stretch in your upper back. Hold for 10-30 seconds. Repeat stretch 1-3 times. Biceps Stretch: Sit on a chair, exercise ball or bench.Take your arms out to the sides, slightly behind you, with the thumbs up. Rotate your thumbs down and back until they are pointing to the back wall to stretch the biceps. Hold for 10-30 seconds. Repeat stretch 1-3 times on both sides. Triceps Stretch: Sit on a chair, exercise ball or bench.Bend your left elbow behind your head and use the right hand to gently pull the left elbow in further until you feel a stretch in your tricep. Hold for 10-30 seconds. Repeat stretch 1-3 times on both sides. Strength Training:Repeat the same routine as Weeks 1-3except use slightly heavier weights on all sets and perform 2 sets of 12 reps. Rest 60-90 seconds between the sets. Week 4: Run 4 minutes then walk 2 minutes. Repeat 5 times for a total of 30 minutes. 5 days a week..
Week 5: Run 5 minutes then walk 1 minute. Repeat 5 times for a total of 30 minutes. 5 days a week. Week 6: Run 6 minutes then walk 1 minute. Repeat 5 times for a total of 35 minutes. 5 days a week. Stretching:Continue the stretches assigned on Weeks 1-3. Stretch daily. Strength Training:Repeat the same routine as Weeks 1-3except use slightly heavier weights then Weeks 4-6 on all sets and perform 3 sets of 10 reps. Rest 60-90 seconds between the sets. Week 7: Run 7 minutes then walk 1 minute. Repeat 5 times for a total of 40 minutes. 5 days a week. Week 8: Run 8 minutes then walk 1 minute. Repeat 5 times for a total of 45 minutes. 5 days a week. Week 9: Run 9 minutes then walk 1 minute. Repeat 5 times for a total of 50 minutes. 5 days a week. Strength Training:Repeat the same routine as Weeks 1-3except use slightly heavier weights then Weeks 7-9 on all sets and perform 3 sets of 8-10 reps. Rest 60-90 seconds between the sets. Week 10: Run 10 minutes then walk 1 minute. Repeat 5 times for a total of 55 minutes. 5 days a week. Week 11: Run 15 minutes then walk 1 minute. Repeat 4 times for a total of 60 minutes. 5 days a week. Week 12: Run 20 minutes then walk 1 minute. Repeat 3 times for a total of 60 minutes. 5 days a week. Remember your diet is the clincher and your exercising is the accelerator. Keep strong and keep focus. You can achieve your weight loss and else in life with your “can do” attitude. It may be a little challenging at first while your body adjusts to your new lifestyle, but hang tough and you will come out with flying colors on the other side! Good luck!